A warm welcome awaits you at the Seven Arches Bar and Bistro, where quality home cooked food is available 7 days from 12 noon until 9pm. 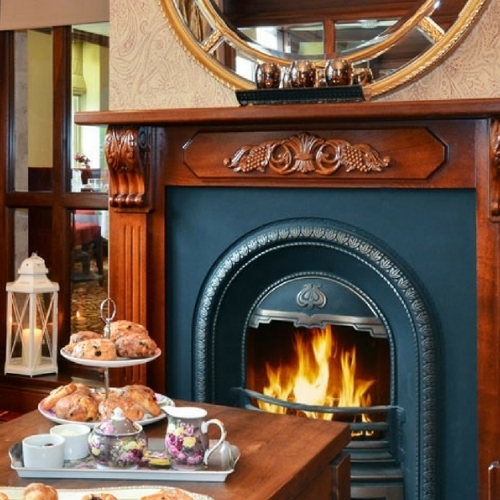 Hotel Newport has 30 spacious and well appointed bedrooms, some of which have the most spectacular views over the Nephin Mountains and the picturesque village. Newport, County Mayo, is a beautiful heritage town at the heart of the Great Western Greenway, stunningly located on the shores of Clew Bay along the Wild Atlantic Way. 2 Nights Bed & Breakfast, Dinner, Lunch + Bike Hire for 2 Adults and 2 Children (under 12yrs) sharing. This package offer the best value family cycling holiday around! 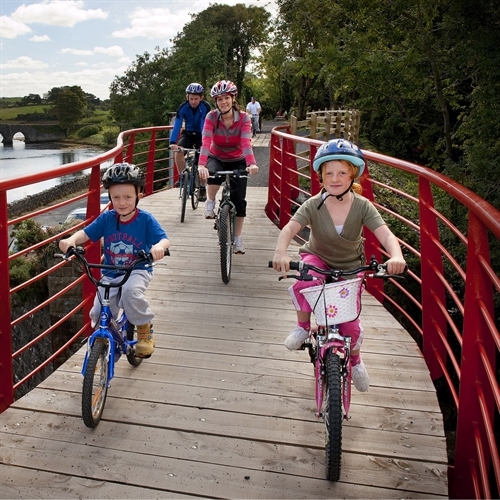 Includes: - 2 nights accomodation in a family room - Full Irish breakfast each morning - 1 x Full day bike hire for two adults and two children - Packed lunch to take with you & enjoy along the way - Dinner on the evening of your choice for the whole family From only €134.50 per night, based on two adults and two children (under 12yrs) sharing in a family room - this is our best value package. The town of Newport is a jewel on the shore of Clew Bay, at the heart of the Wild Atlantic Way and the Great Western Greenway. It is surrounded by the majestic Nephin Mountains and located just 15 minutes from the county town of Castlebar, 10 minutes from Westport, and 40 minutes from Achill Island. Our hotel is the ideal getaway for couples, families and groups, offering the serenity of a peaceful town with the accessibility to activities and amenities to suit all tastes. We pride ourselves on offering value for money, quality service and tasty delicious food. Newport offers a full range of country and coastal activities to visitors from walking, cycling, golfing, fishing and water sports. 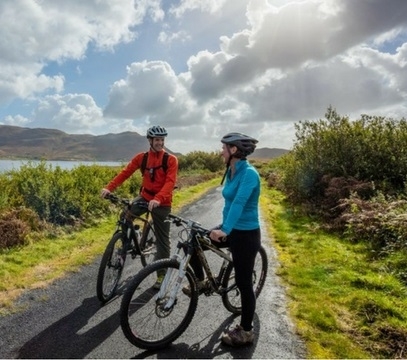 Our hotel is the perfect base for you to explore the most scenic locations on the west coast of Ireland, and is located less than 1km from ‘The Great Western Greenway’ the longest off-road cycling/walking route in the country, passing through some of the most idyllic scenery in the west of Ireland.